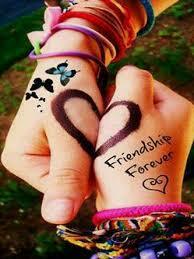 Friendship isn't a coincidence but a decision. Marriage is more than a word, it's a life sentence; a life sentence of labour rather than favour if it is void of friendship. While friendship is a commitment decision, marriage is a life decision which is best lived out in friendship. If marriage is a destination then let me call passion it's car. This car can't get to its destination without fuel which is FRIENDSHIP. Not all passion results from first sight; some evolve and grow overtime as closeness progresses. Passion at first sight or Passion that ate attention to grow needs friendship to survive. A passionate friendship that evolves round the ball of emotion. Friendship is a measure of freeness beyond being sure of a free nest; a bird not after the bed; freeness built not in the gym but on trust that aids the thrust of faith without fear. Openness that opens the nest of the heart as secrets leap from lips. Conversation with knowledge; communication with no ledge but a passionate play ground that makes comfort come forth. It's always better to make your vision plain so as to evade flying missiles of misunderstandings from making your mission the hit plane. Passion can be a sound car tuned to make the wander through the fantasy of Disney a wonder. Never forget this knee from the prayer ground which signifies the God factor. Positive passion is sweeter than honey as long as your partner is indeed a "honey". One of the way of knowing if your boo is a honey or not is through friendship; it's significant you know so that the sting of misunderstandings won't boo off bliss from your marriage. The time to make friends with your lover is before marriage; not after. Positive passion is powerful; it detonates an explosive love amidst friends. Negative passion gets lost in lust. Passion, whether negative or positive can be found dead with time if not fuelled by friendship.